Our company offer various designs of carpet trim for different types of application. 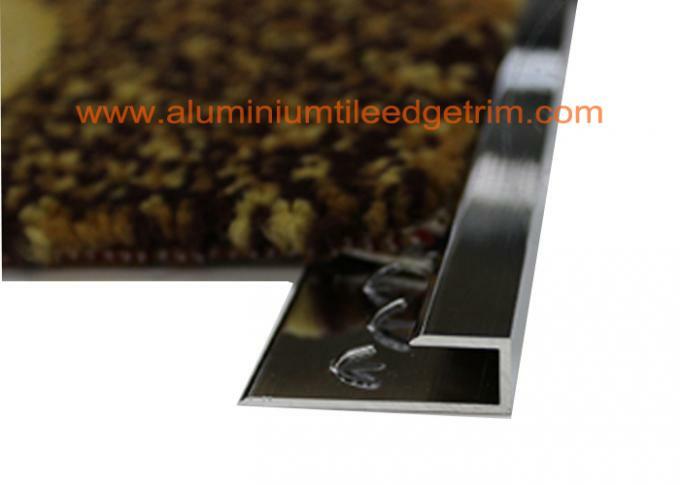 The aluminium carpet edging is a straight edge carpet bar which hides the edge of a carpet end. This type of aluminium carpet edging is suit for carpet end against from branch and is good for protecting carpet to be durable. These will make a great compliment to any carpet and add a stylish finish to your room decor and styling. Aluminium carpet eding profile for the insertion and securing of fitted carpet edges to produce clean and safe finishes for flooring or stair nosing. This product is used to conceal and protect the edges of carpets that would otherwise be exposed. 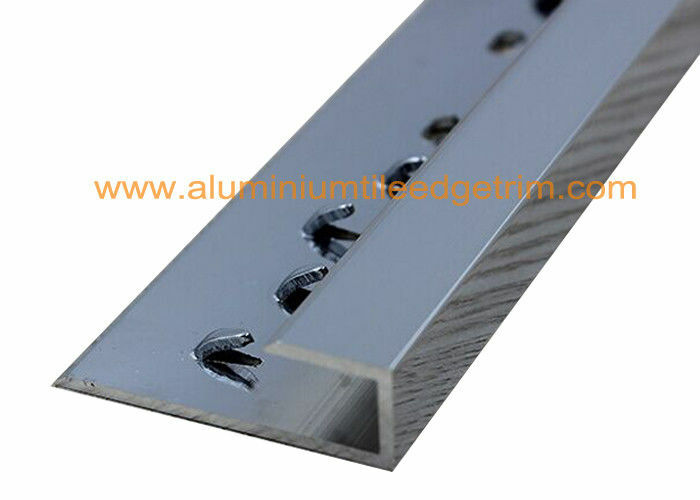 Aluminium Carpet Edging Straight Edge is used between stretch carpet and tile or wood. It’s main purpose is as a transition between carpet and another flooring type of similar thickness in order to protect the carpet and the other flooring material. The Straight Edge Aluminium Carpet Gripper is nailed to the floor and the carpet is stretched onto the gripper under the lip and if required the top is knocked down to meet the carpet thickness with rubber mallet and wood block. Available in all the anodised colours as indicated on the colour chart. application carpet edge banding. the bottom teeth can grip the carpet tightly. Q1: What’s the thickness for anodizing? Can you do 15 um? Q4: How’s the weather resistance for wood grain finish D1010?